Winning a medal at an Olympics would be a truly amazing fete for most people, but for Milton Keynes long-jumper Greg Rutherford, Bronze yesterday was "not good enough". 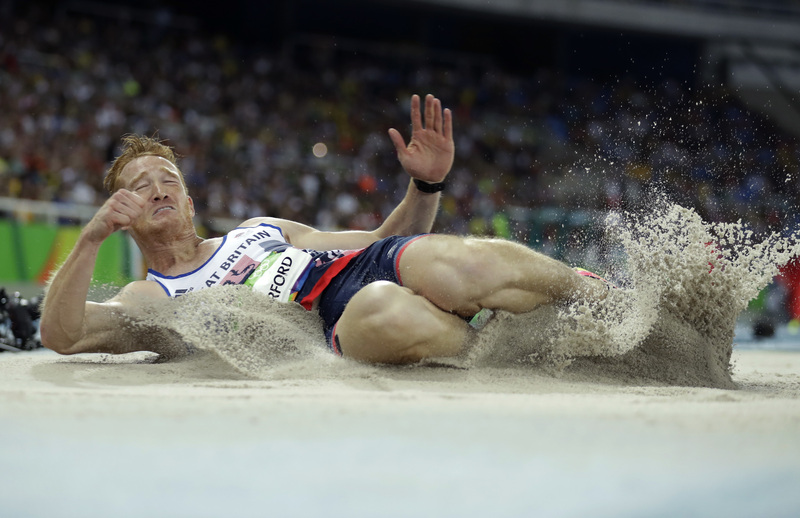 The 29 year-old's been dethroned as long jump king, with the 3rd place gong, little consolation for the London 2012 champion. Four years on from Super Saturday, Rio de Janeiro bore witness to another medal-laden night for Team GB at the athletics. Mo Farah won 10,000 metres gold just as he did in London and Jessica Ennis-Hill secured a place on the heptathlon podium, albeit having to settle for silver after Nafissatou Thiam's remarkable breakthrough Games. Their happiness was not matched by Rutherford after coming third in the long jump after years of dominating the discipline. "You can tell from my face I am not exactly the happiest at the moment" the reigning World, European and Commonwealth champion said. "Very frustrating. Obviously I come into these competitions to win them and I felt pretty good after yesterday, even though I scraped through. I had a slightly annoying sort of advancement when they tell me at the end that the foul they gave me wasn't a foul and they had actually given me the mark. That's quite frustrating because obviously then I would have put yself back in the lead and put pressure back on the field again, and I didn't have the opportunity to do that because they gave it as a foul. Ultimately I didn't jump long enough today and that's, again, very difficult for me to take, but it is what it is I guess. I've just got to make do and move on from that. But at the moment, yeah, pretty gutting." Rutherford was unsure how far his fourth jump was, but IAAF results confirm the reinstated fourth jump was 8.26 metres. That would have put him in the lead at that point, denying him chance to solidify his position and perhaps push on for gold. Jeff Henderson of the United States went onto win the competition with a season's best of 8.38m, snatching victory away from South Africa's Luvo Manyonga by a centimetre, while Rutherford secured bronze with an 8.29m leap at the death. "I am pleased at the last I mustered what energy I had left to take me from fourth into a medal position, but yet it's still not good enough in my eyes'' he said. "Look, I am always determined. As I say, I come to these championships to win. I don't come here to win bronze medals, silver medals or whatever else. I come here to win. So then when I don't, that's very, very difficult. I don't believe anyone out there was better than me. Nothing crazy happened. It's just I didn't quite get it right today and that's difficult." "No, not really, no. It's a very difficult bronze medal to take. Look, if you'd spoken to me 10 years ago and told me I would be gutted to take an Olympic bronze medal, I would probably have told you not to be so stupid. But I've moved on a lot since then and I believe I have the ability to keep winning these things so a bronze medal is very difficult."